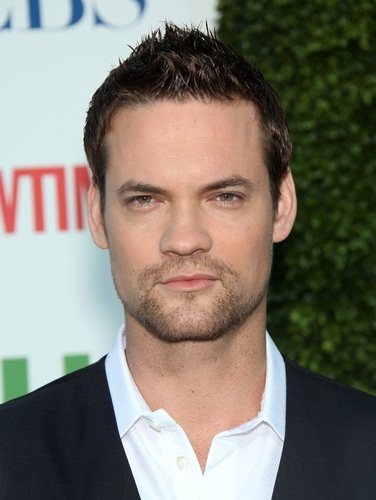 Shane West is an American actor, punk rock musician, and songwriter. Shane’s father, Don Snaith, was born in Jamaica, of English, about one quarter Sephardi Jewish [Spanish Jewish and Portuguese Jewish], and distant Scottish, ancestry. Shane’s Sephardi Jewish ancestry can be traced back to Eliau López, who was born, c. 1648, in Málaga, Spain, and to Eliau’s wife, Rachel de David Nunes da Fonseca, who was born, c. 1656, in Seville, Andalusia, Spain. Shane’s mother, Leah, is from a Cajun [French] family, and also has distant Spanish, English, and Irish ancestry. Shane’s patrilineal line can be traced back to John Snaith, who was born, c. 1730, in Wolsingham, County Durham, England, and to John’s wife, Jane Griffin. Shane’s paternal grandfather was Walter Arthur Parcell Snaith (the son of Walter Herbert Snaith and Annie Marjorie/Margaret/Marguerite Parcell/Parcells). Shane’s grandfather Walter was born in Morant Bay, St. Thomas, Jamaica. Shane’s great-grandfather Walter was the son of George Burrell Snaith and Laura Eliza Jane Kirkland. Annie was the daughter of Arthur Parcells and Margaret Miller Senior. Shane’s paternal grandmother was Marjorie Isobel/Isabel Ruth DeFonseca/Fonseca (the daughter of Rupert Everton/Ederlan Fonseca/DeFonseca and Bertha Ann Katherine/Catherine England). Marjorie was born in Port Maria, Saint Mary, Jamaica. Shane’s great-grandfather Rupert was of mostly Sephardi Jewish background; he was the son of John Wesley/Westly Fonseca/DeFonseca and Mildred Levay/Levy; John was the son of John Fonseca/DeFonseca and Louisa Deleon/DeLeon, and Mildred was the daughter of Isaac/Isaak Levay/Levy and Mary Ann Grant. Shane’s great-grandmother Bertha was the daughter of Edmund Deville England and Anna Helena Mason. Shane’s maternal grandfather was John Glynn/Glenn Launey (the son of Aloysius Launey and Bertha/Berthe DuBois). John was born in Louisiana. Aloysius was the son of Aristide Hector Launey and Marie Elia Brignac. Bertha was the daughter of Bernard Dorcini Dubois and Marie Ermina/Hermina Lanoux. Shane’s maternal grandmother is Leah Jacqueline “Jackie” Ardoin (the daughter of Charles Burkman/Berchman Ardoin and Bessie Marie Guillory). Charles was the son of Didier Ardoin and Isabella/Isabelle Quirk. Bessie was the daughter of Jules Dolze/Dolsey Guillory and Leah Fruge. his maternal “Quirk” line traces to a man born in Tralee, County Kerry, Ireland, and it’s all heavily mixed with Colonial American (English) ancestors who moved southward.